Solid state laser marking technology has been around since the 1980’s, when lamp pumped, Q-switched Nd:YAG lasers were THE standard laser engines. These lasers were – and still are - well suited to laser marking, producing tens of kilowatts of peak power with sub 75ns pulse durations which made it possible to mark and engrave on both plastics and metals. Over the past 30 years, however, the evolution of solid state markers has seen a number of milestones including; Nd:YVO4 “vanadate” lasers, diode pumping, the utilization of 532nm and 355nm wavelength sources, and, finally, fiber laser technology. We often talk about our laser markers as being "flexible" and "capable of making many different kinds of marks." Sounds great, doesn’t it? Yes! But what exactly does that mean? Well, it means that depending how the laser is controlled, the mark you make may be just a surface effect – a color change - with little or no material removed, or it can remove significant amounts of material, leaving a groove that you can both see and feel. 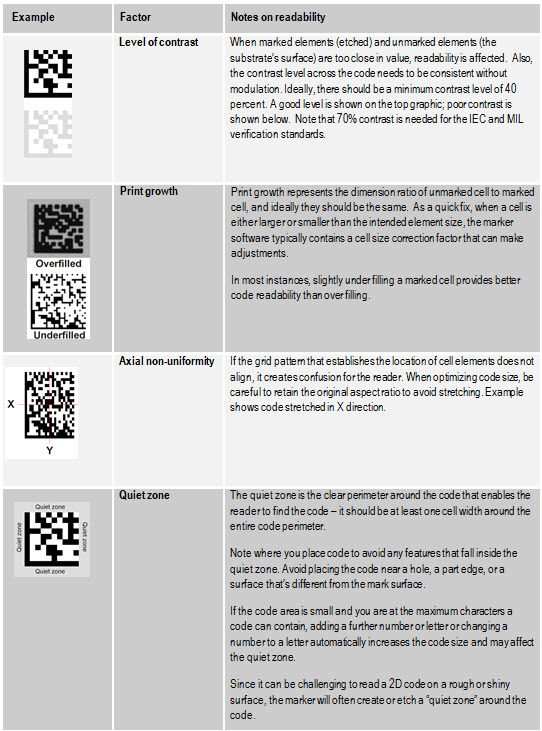 Below is a list of several types of marks and typical applications for the same. Note that all of these marks were made with a single (flexible!) fiber laser marker. Laser Marking: that's not all you can do with laser markers! 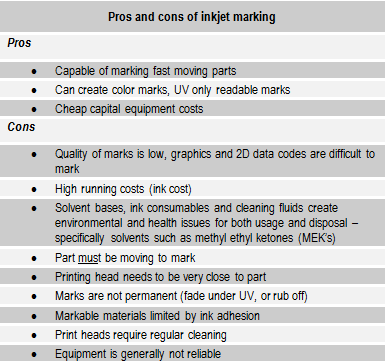 In our last blog, we explored when laser markers make sense in comparison to other marking technologies. Key reasons included high mark and material variation, fragile material, and mark durability. But did you know laser markers can also be used for machining? 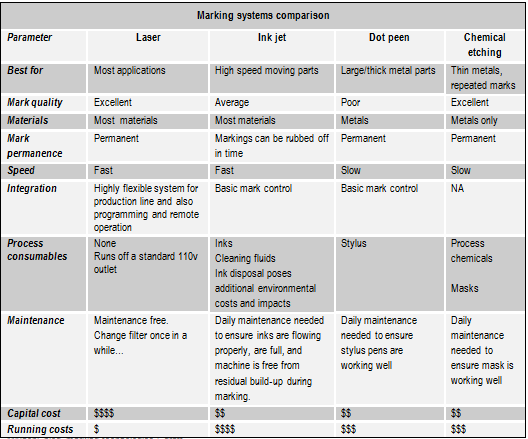 Yep - your laser marker can do double duty as a micromachining system!